In our studio we’re always looking in new and interesting directions. We’re working with the latest technologies and solutions and we’re trying keep up with the ever-growing world of games, mobile devices and social interactions. We are not afraid to dive into new platforms, pro-gramming languages or target devices. We have a lot of creativity in our team which brings us a never-ending source for new ideas, game types and interactions. Cross-platform development is one of our specialties. In our development team we have specialists with various talents and skills. 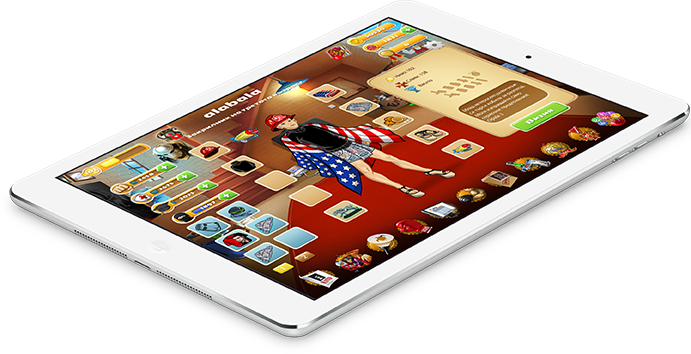 For our games we’re mostly using Adobe AIR but we also have experience in HTML5 and Native Development (Java and xCode). With the latest updates to the AIR platform we can easily develop games for multiple platforms (Win, OS X, Web, iOS, Android). The code base we have developed is highly customizable and provides a fast solution for developing same type games in a matter of days. Our game type frameworks are based on a MVC architecture. This allows them to be modified and upgraded with small effort to meet any new ideas and functionalities. With this approach our arts team has ability to test every new game directly by swapping assets and running games in development mode – this leads to a much faster and complete process. We’re also currently developing an HTML based framework in order to provide high quality gaming directly from your mobile browser. This way we can drop the borders assigned by the mobile markets related to their applications approval process.